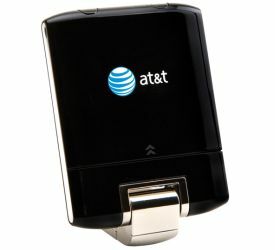 Congrats to Ken N. of Auburn, California who just won a $25.00 Restaurant.com gift code for writing a review for AT&T USBConnect Momentum (Sierra 313U) 3G/4G USB - Refurbished, Like New No Contract Upgrade at 3Gstore.com! Every week we randomly pick one product review from the previous week and award the writer a $25.00 gift code. We appreciate ALL the reviews our customers write, whether they are positive or negative - honest reviews like Ken N.\'s help other customers decide if the product is right for them. After you purchase a product from 3Gstore.com, we encourage you to log in and 3Gstore.com and leave a review letting people know how the product worked for you - you'll be helping others, and you'll automatically be entered to win a restaurant.com gift code!. Paired this up with a Pepwave SOHO in an RV. It is working well including under 4GLTE. Have Pepwave setup to use Wifi first, the fall back to this USB cell device when no Wifi is available.